Thank you for putting the HBCU experience on the main stage at the Coachella Valley Music and Arts Festival. Coachella has been happening for the past 19 years. This year Beyonce made history by becoming the first black woman to headline the California based music festival. 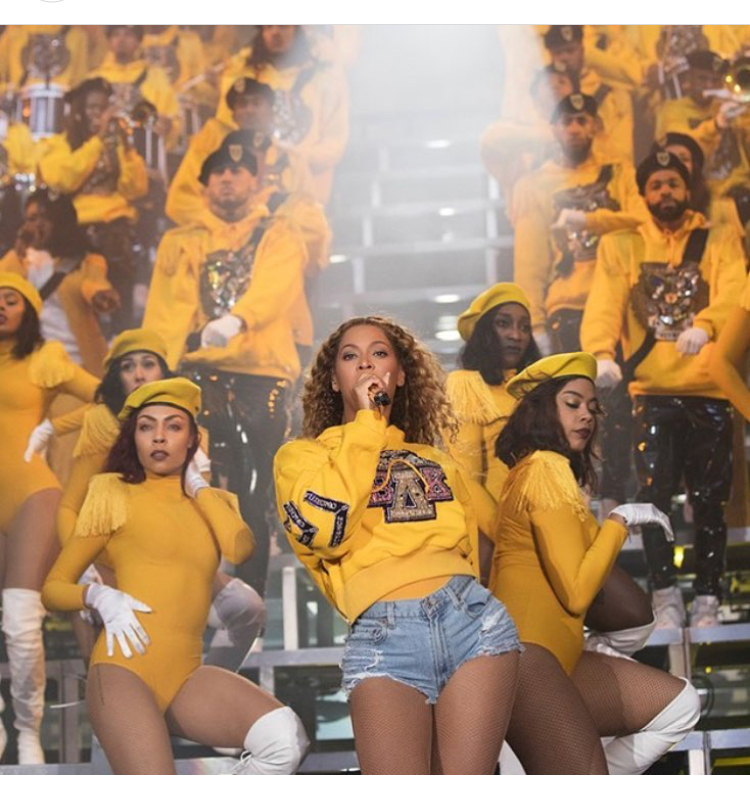 Beyonce made a huge impact with her HBCU marching band themed performance. I don’t think you all understand the magnitude of what she did on Saturday while on stage. Beyonce legit snatched wigs, edges, and souls in that stage. People were blown away including myself and fellow blogger Asia of Cheekywiki.com. Luckily you have this Urban Girl here *points to self* to break it down. Lets start by dissecting the creative theme behind her performance. Beyonce created a faux sorority BAK (Beyonce Alpha Kappa). 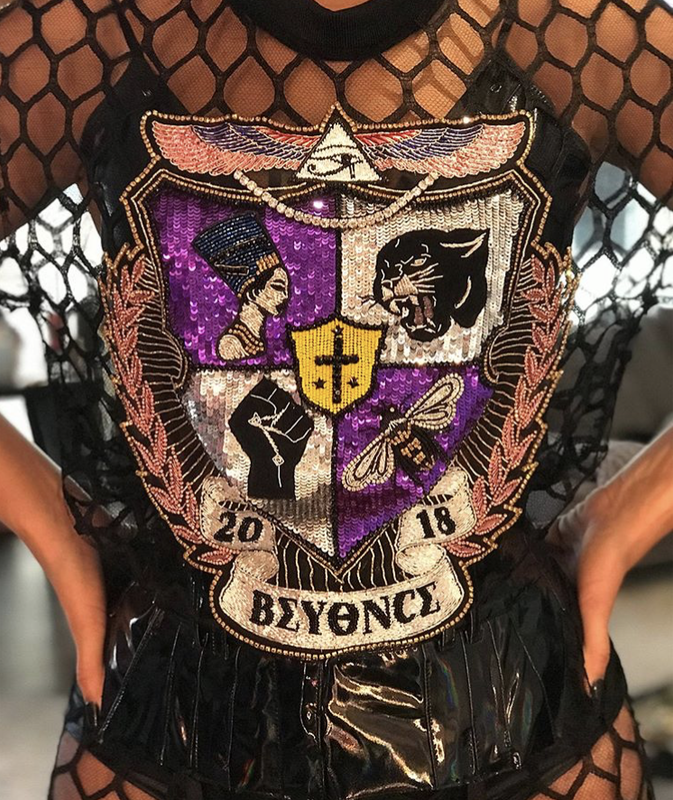 Bey created a logo for her sorority,(the fist and black panther were incorporated in there) Bey had a color scheme for her sorority. 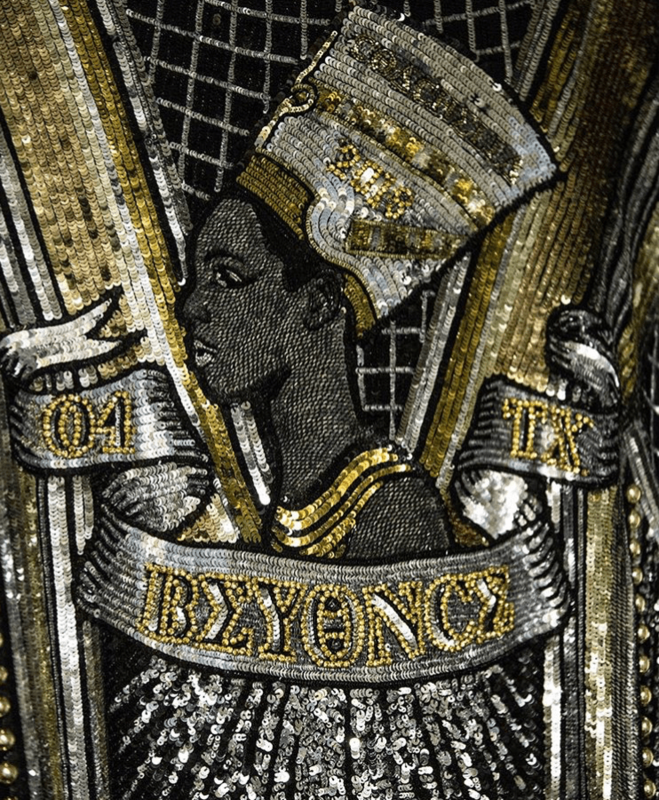 Beyonce’s creative team thought out and executed this concept extremely well. Let’s be clear that the black Greek experience is one that is unique in itself. They stroll, they step, and they have an unusual amount of swag. When you are apart of a black Greek fraternity or sorority the stepping and strolling is especially important. Whether its a campus party or on the yard this is a way to show everyone watching the unity within the organization and it takes a high amount of practice, dedication and skill. The most impressive part of the stepping and strolling is the way everyone is in-sync and plays their part. Bey showed the world HBCU excellence by incorporating the marching band into her performance. She brought the half-time show of the HBCU football teams to Coachella. Anyone who’s ever attended an HBUC football game knows the real show always happens at halftime; in fact that’s the reason most people attend those football games, in order to see the marching band perform. Bey also sung the black national anthem. I can remember singing this song every morning in school growing up. Some where along the way the anthem was fazed out of the morning routine. It was amazing to see Beyonce revive this song during her Coachella performance. It literally took me back to the football field at Hampton University because this song is sung before every football game. Bey’s planning and choreography was immaculate. It is almost safe to say she is one of the greatest performers of all time. Beyonce didn’t just hop on stage with a mic and recite the lyrics to her chart topping songs. Nope… She told a story, she curated a concept while still giving cultural realness by putting the HBCU marching band experience on the main stage. An experience that is often tucked away for a specific niche audience on the college campuses of Howard University, Clark Atlanta, FAMU, and the countless other historically black colleges and Universities. I salute Bey for allowing the world to experience this decadent piece of black culture. Something so amazing needs to be experienced by everyone. Lastly Bey brought out DC3, yes she brought out Destiny’s Child. Bey was joined on stage with her fellow girl group members Kelly Rowland and Michelle Williams. The trio performed a few short renditions of some of their greatest hits from the Destiny’s Child days. Bey also brought out her little sister Solange who danced along side her to Get me Bodied. She was also joined on stage by her hubby Jay-z while the two performed their songs together. As much as we would all love to relive this iconic performance it has been a challenge finding a good quality straight through video of Bey’s entire performance. For now there are photos below from that iconic night. I appreciate what you did Beyonce, and the world appreciates you! Alumni of HBCU’s everywhere are so very proud of you. Side bar: How I pledge BAK – Beyonce Alpha Kappa? It is being reported that Beyonce will be donating $100,000 in scholarships to 4 students looking to attend black colleges. All I can say is Wow!